I seem to go through an interminable amount of logos for my business, but for mostly good reason. Actually the biggest thing is that for many years the idea of where this is going has not taken on a solid shape. 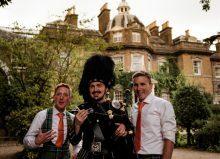 It’s been difficult to marry up three instruments into one cohesive shape, and to find a way to have a shared universe of prog rock instrumental guitar with traditional Scottish bagpipes. That has changed now. I feel like I have a firmer idea of where these all live together and how they can coexist, which I’m pleased about. 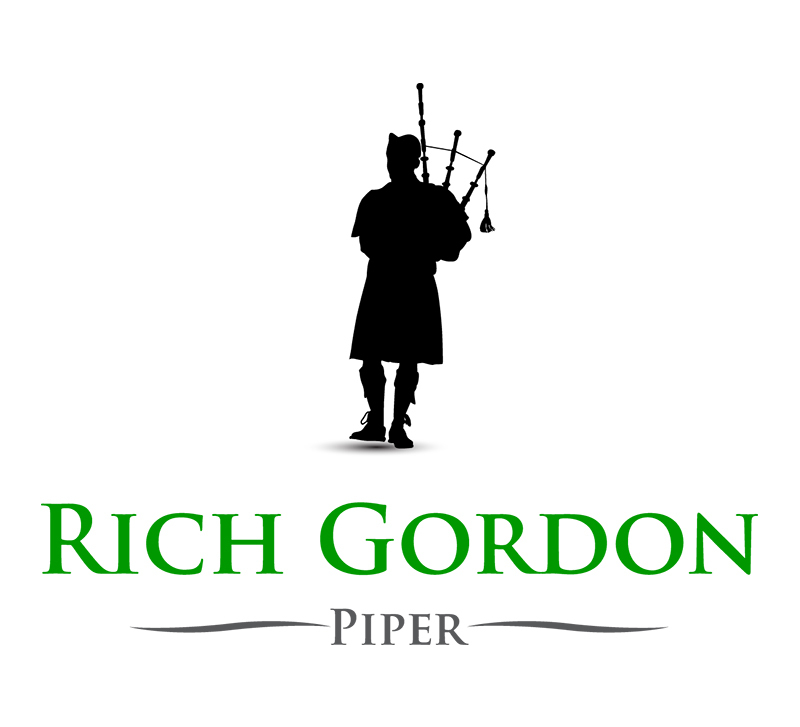 The first draft of this used all instrument silhouettes, but I realised that it made better sense to use the piper silhouette from my bagpipes logo in here. I also liked the quirky sax silhouette used in the new sax logo more than the one before. This is the primary logo for the business. There’s no change here. Just wanted to point this out. Confusing as it may seem, I see the saxophone playing as two sort of separate things. 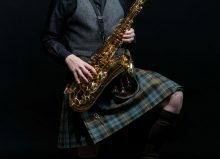 There’s Rich Gordon, the man that can play saxophone, and then there’s “Kilted Sax” – the brand for events. This is a slightly trickier one because all of my album artwork as a composer has featured different themes. However I do plan to start offering the guitar as an events performance product too in the near future.